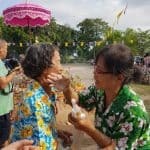 We would like to wish all our regular readers and new visitors to Thinglish Lifestyle a very happy and safe Songkran – Thai New Year. Songkran is one of Thailand’s biggest and most popular festivals celebrating the new solar year. It lasts for 3 to 5 days and dates vary across the kingdom. 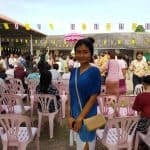 Traditionally, friends and family members splashed water on each other and visited the temple for blessings. Sometime wet powder is applied gently to each cheek. 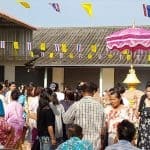 In recent years, tourists have got in on the action and now in the cities of Bangkok and Chiang Rai, the biggest water festivals are staged, with thousands of party goers attending annually. Grab a super-soaker and head to Khao San Road, RCA or Silom District in Bangkok to experience the biggest water fight of your life. Thailand has one of the worlds highest road death rates which spike every year around Songkran. Drinking, throwing buckets of water and driving surprisingly don’t mix. Avoid any unnecessary travel in Thailand around this time for your own safety. If you are in Thailand for Songkran prepare to get wet. Get a waterproof bag for your phone, camera, passport and wallet and dress appropriately. Many Thais across the country have a week off work to celebrate Songkran and the Thai New Year. The Post Office is also closed during this time so we will not be able to fulfill orders. Our Online Store will be closed between 12th and 20th April. We will complete orders up to and 11 April and then close our online store until 20th April. Please be aware if you place an order during this ‘closed’ period, we will be unable to post within our usual next day service. All orders will be shipped on the first day we return on 20th April. 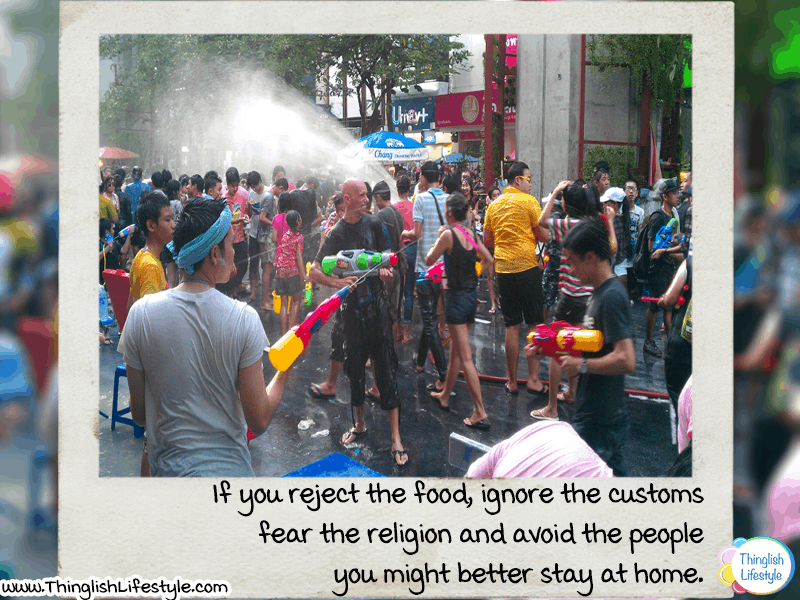 As a veteran of many a Bangkok Songkran, I know prefer to lie low and pretend it’s not happening (bar-humbug). We will be stocking up and staying at home, hopefully staying safe and dry. We would like to take this opportunity to thank all our customers and for your continued support and wish you a Happy Songkran!